Fearless Joyette Jopson will represent the country to the "world's coolest marathon" set on April 2019. The 39-year-old Jopson is said to run at the extreme cold weather condition of the North Pole. Jopson is a professional triathlete joining local and international events for over 13 years now. She will be joining the team Asia, with representative FWD runners from Japan, HongKong, Vietnam and Thailand. 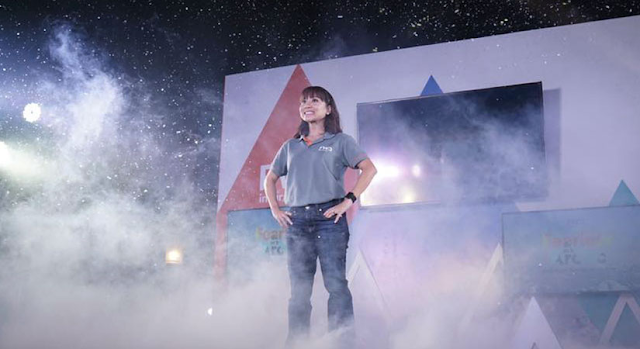 Inspired by the footsteps of Louie Sangalang, a cancer survivor, who was the Philippines representative in the 2018 North Pole Marathon, she also wants to inspire women about their capabilities and love of whatever they are doing. She also supporting the squad of Romi Garduce, the first Filipino to climb the seven summits of the world including Mount Everest, Margielyn Didal - the first Filipina to compete in the Street League Skateboarding, and Carmela Pearson - a Long Distance Cyclist and fastest Filipina to do a 1,230 kms. race in Paris. The FWD North Pole Marathon is happening on April 9, 2019 with participants are expected to run on the ice sheet of six to twelve thick above the 12,000 feet of the Arctic Ocean. They will run a 42-kms stretch with average temperature of (-)30 degrees centigrade or low.